Hello friends! Welcome to another Make a Card Monday! Today I have another card using product from the Stamps of Life. 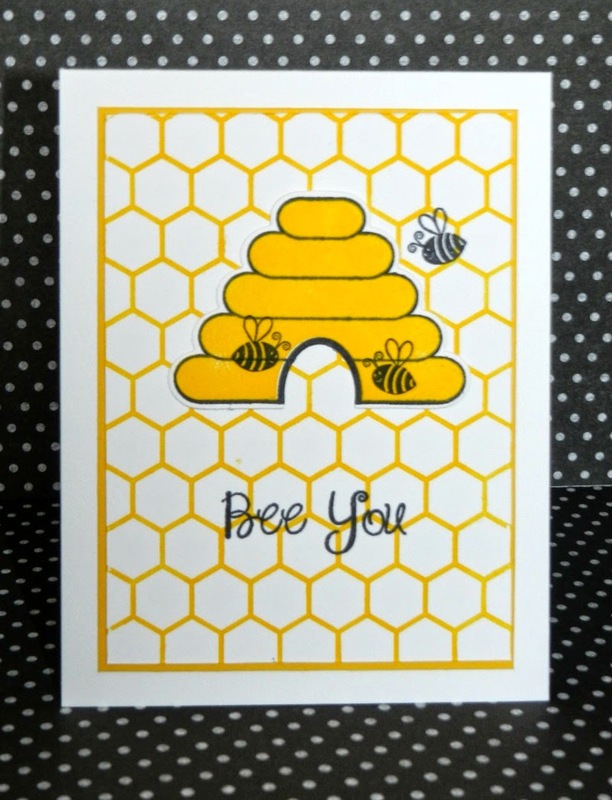 I have been enjoying working with the hive4bees stamps and dies. This is a great encouragement card for anyone in your life, especially for the kiddos. My daughter is at that age where she is trying to find herself and often is one way at home and another around her friends. I always tell her to be yourself and if anyone can't accept you for who you are then they are missing out on a great friend. The card is simple but I love it. I just wish that I added some black ribbon now that I look at it. Thank you for stopping by! If you are interested, the process video is below! Cute card, goin to watch the video!